In February, the Volkswagen (VW) Group handed 724,400 vehicles over to customers world-wide; and while this number was 1.8% below the total for February 2018, VW won market share in a shrinking market in most regions, although in the largest single market of China, deliveries fell by 7.4% year-on-year. Christian Dahlheim, head of VW Group sales, said: “In February, the Volkswagen Group delivered slightly fewer vehicles than last year, but we were able to gain market shares in a shrinking overall market. “Despite the market environment, which continues to be challenging as expected, we have continued our solid start to the new year. 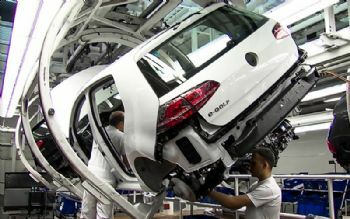 In Europe, the VW Group brands delivered a total of 334,400 vehicles in February 2019, up 1.1% on the same month last year. In the home market of Germany, group brands recorded a 3.6% growth, with 105,500 vehicles delivered. In North America, deliveries fell by 5.8% to 65,200 vehicles; in the USA, the group recorded 44,400 deliveries, a drop of 5.1% compared with February 2018. In the Asia-Pacific region, the VW Group delivered 257,100 vehicles, a fall of 7.3%; in the most important single market — China — 234,400 customers took delivery of a new vehicle from a group brand, some 7.4% fewer than in February 2018. The group comprises 12 brands: Volks-wagen Passenger Cars, Audi, Seat, Skoda, Bentley, Bugatti, Lamborghini, Porsche, Ducati, VW Commercial Vehicles, Scania and MAN. The passenger car portfolio ranges from small cars to luxury-class vehicles, while Ducati offers motorcycles. In the light and heavy commercial-vehicles sector, the products include pick-ups, buses and heavy trucks.